Auditing, managing and sharing SOP training data is time consuming and open to errors. Demonstrating training records during audits can be difficult or impossible. Document and SOP management is a regulatory requirement for many industries and should be implemented as standard business practice. 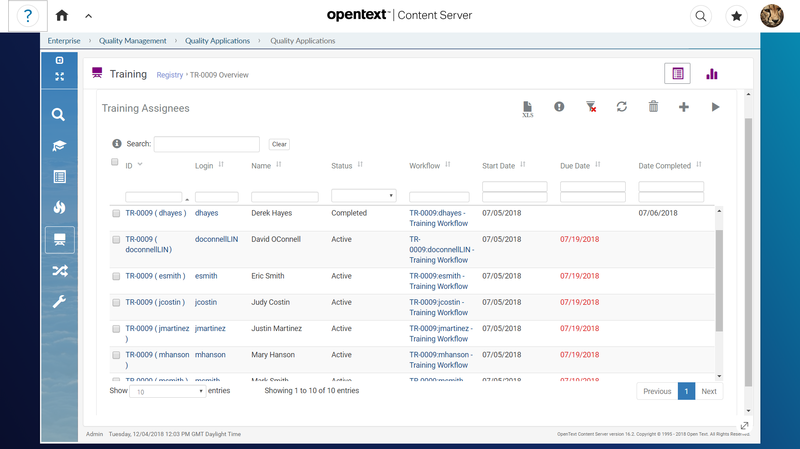 SOP Training is an effective SOP training management and tracking application for OpenText extended ECM. SOP Training allows documents to be assigned to users for training while maintaining a searchable training record for each employee for all versions of all documents. This application eliminates tedious, time consuming work spent on managing SOP Training by automating the process in Content Suite and supporting regulatory compliance.